Just over a year a go a group of angry women activists from UK Uncut decided that enough was enough. 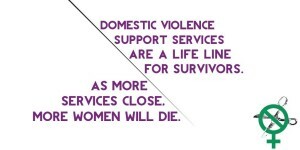 We worked in the domestic violence sector, we were survivors, we were women who felt backed in to a corner by a brutal state that was slowly taking away our safety net. And we were tired of the violence, the humiliation and the silencing that survivors of domestic violence faced. 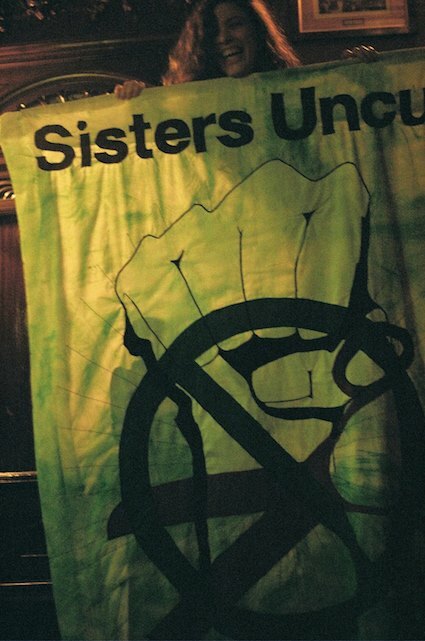 UK Uncut and the people within it gave us the skills and knowledge to realise that sisters could do it for themselves. We felt that the vicious silencing of domestic violence backed up by the brutality of austerity meant this issue needed its own protest. That women needed to take to the streets, to use direct action to demand our needs are met and that violence could no longer enable inequality. That first meeting seems so far away from now. The first agenda stated: this isn’t a space for disclosure. How far from that we are now. Now each meeting is based on a right to speak out, a right to articulate our experiences and a space to understand that each of us experience oppression in different ways: whether trans, BME, Lesbian, Bisexual, person with disabilities, working class. Its organising based on empathy, understanding, trust and love. What a year it’s been, from four women eating beige food and drinking tizer in a living room in Stratford to over a hundred folk regularly attending meetings. From being an unknown entity to changing the news agenda for a whole week following a protest picked up by the global media. UK Uncut always reminded us that austerity was a political choice. An unnecessary means to pay for a rich elite to continue a ludicrous system of profit. We too continue that message: never believe that there is not money to pay for services. It’s a lie fed to us by those that wish to maintain their power and privilege. Its a lie that allows abuse to continue. Since austerity began over 30 specialist services have closed and the major funding cuts have been to BME and specialist services. Council’s are choosing to commission cheap and poor quality services. Cuts to benefits leave survivors stuck between violence from abuse or violence from an uncompromising and unequal state. And austerity continues unabated. On the 25th of November, the international day to end violence against women, George Osborne announced £4.1 billion of cuts to local government budgets. He then had the audacity to announce the tampon tax would fund domestic violence services. What a bloody mess – a tax on menstruation paying for cleaning up the consequences of violence. We do not want token funding. We want an end to austerity and a state that does its job. A state that enables an end to oppression, an end to violence, the safety and security we deserve. And this does not mean more money for a police service. A service that time and time again has failed us. What started out as an idea to hold a protest around domestic violence has become something else. It’s a movement. It’s a powerful space in which domestic violence has been taken out of the home and onto the streets. In which those who have been told they should not have a voice are shouting, screaming, crying and demanding. And you can join us. 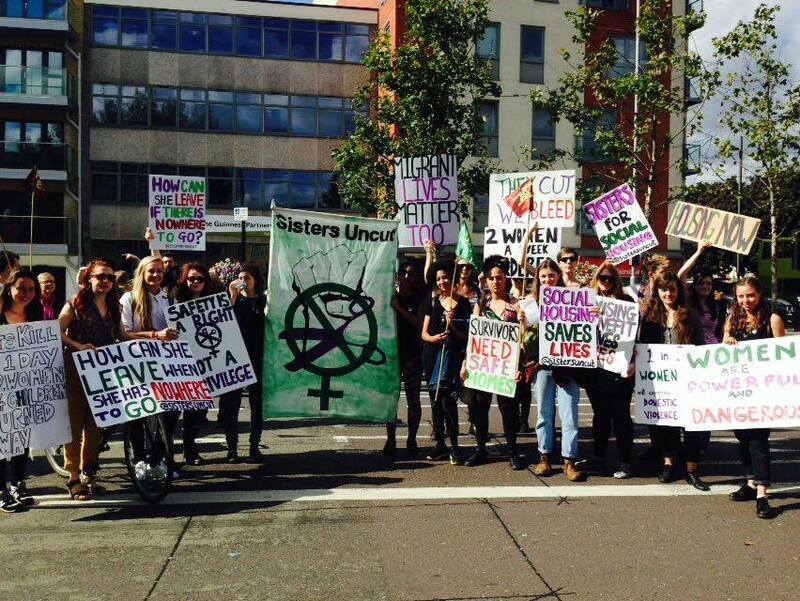 On Saturday we are holding a march in remembrance of all the domestic violence services cut as a result of austerity. We are marching to remember that domestic violence and state violence are intimately connected and that when they cut we bleed. We will not be silenced, we will not stop: we will win. 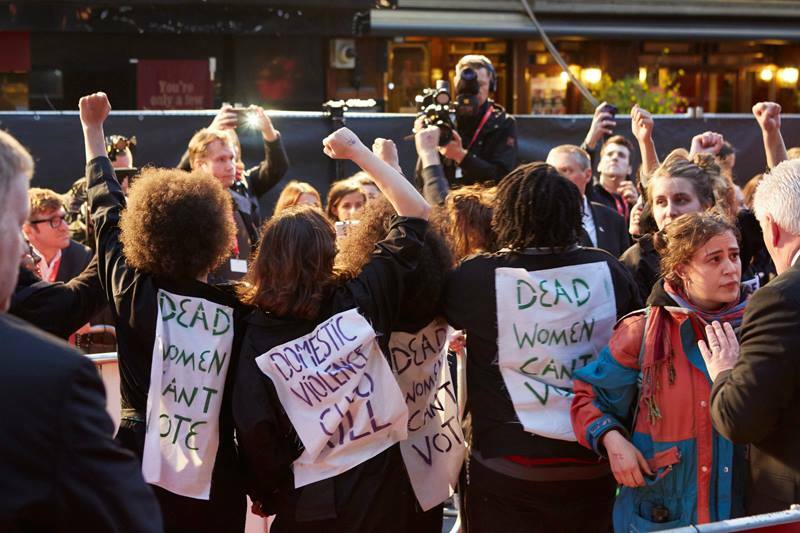 Sisters uncut’s next action is on Saturday 28th November at midday, Soho Square. 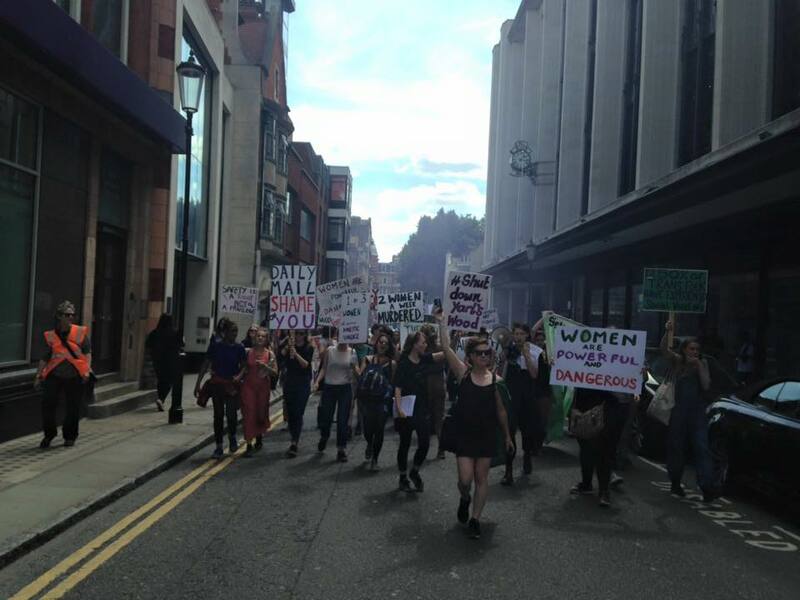 It is open to all women (trans, intersex and cis), all those who experience oppression as women (including non-binary and gender non-conforming people) and all those who identify as women for the purpose of political organising. Self-definition is at the sole-discretion of that sister. We ask that our male allies support us on social media and by helping their sisters attend.